With its new Uniteam CK NC Processing Centre, the multinational Biesse Group - a leader in processing technology for wood, glass, stone, plastic and metal - is responding to increased market demands. The market demands what's feasible, and refusing to progress or even backtracking is unthinkable. It is only the pace of current developments that is subject to fluctuations and, in this respect, we can certainly claim to live in rapidly changing times. With the trend towards customization and single item production propelled by Industry 4.0 developments, production processes need to be adapted in a manner that nevertheless enables companies to accept a maximum number of orders. Regardless of their customized design, products must adhere to high quality standards, and ensuring quick and reliable delivery times is vital. 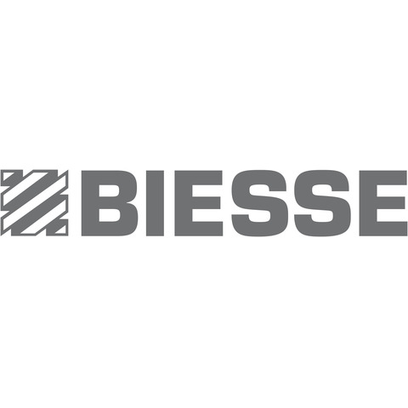 The Biesse Group is tackling these challenges with the help of technological solutions, such as the new Uniteam CK NC Processing Centre, which support and make full use of technical expertise and knowledge of processes and materials. Uniteam CK is the ideal machining center for medium-sized and large companies that need to customize standard cuts used in woodwork but also want to offer solutions that respond to the most creative architectural demands and complex modern design requirements. Maximum precision and up to 18 constantly available tools and aggregates in the machine support rapid tool changes and make the Uniteam CK highly effective during all machining stages. The work table is designed to ensure maximum grip and extremely high-quality machining, allowing beams and pieces of various sizes to be fixed perfectly.